We talk a lot about Test-Driven Development, aka “TDD”, here on the blog, and for good reason! We’ve found TDD to be one of the most effective and important parts of our process when building applications. That said, we often work with developers who’ve either never tested or only ever written tests after the fact without really feeling like the tests add much value. While they may feel comfortable writing a few tests, they find the prospect of test-first development confusing and backwards. What had been missing was a solid introduction to what makes TDD unique. Well, no longer! Today we’re happy to announce the release of our newest course on Upcase, Fundamentals of Test-Driven Development. You’ll use the red-green-refactor loop to drive code supported and documented by tests. As you progress through the lessons you’ll learn how to use both integration and unit tests to get the ideal coverage for your application. 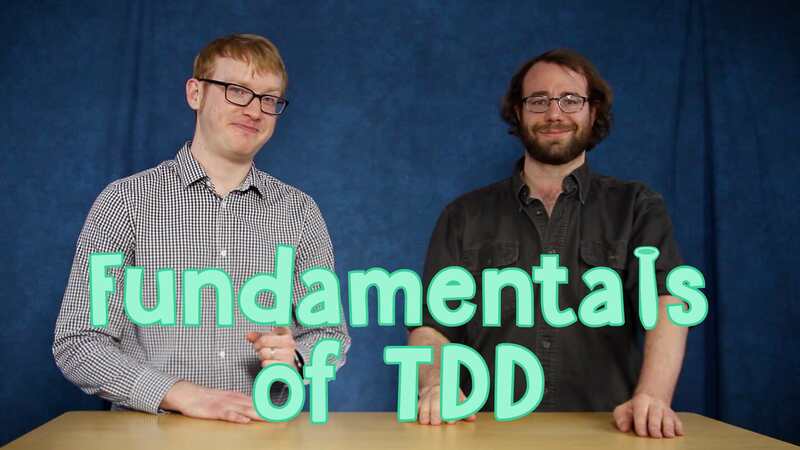 This course requires no prior knowledge of TDD, but it will teach you the critical thinking and workflows that make TDD such a powerful approach. At the same time, even seasoned testers will likely find a few new ideas in this course. We’ve got something for everyone! Ready to let your tests guide you to cleaner more maintainable code, and finally master TDD?